How can I define an hourly rate for a client? 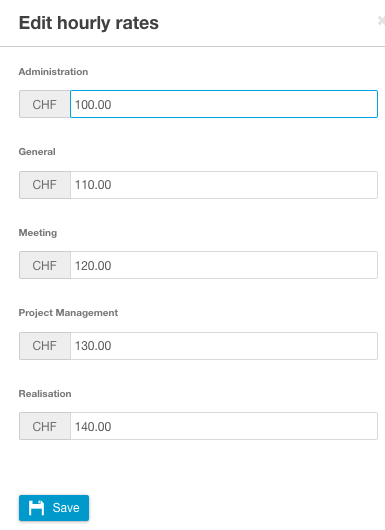 The hourly rates can be defined for each client and for all activities. Consult our report "Manage activities" for information on how to create activities. 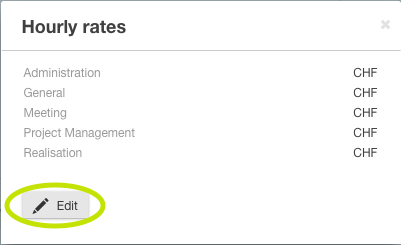 If you want to define hourly rates for a client, open the desired client, click on the tab "Settings" and then on "Define hourly rates". Click on the button "Edit" in the window that appears. The entry for the hourly rates is opened. Here you can see all activities that have been created for which you can enter the hourly rates you want. 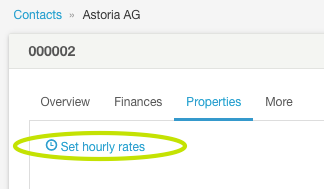 How can I define hourly rates for an employee?